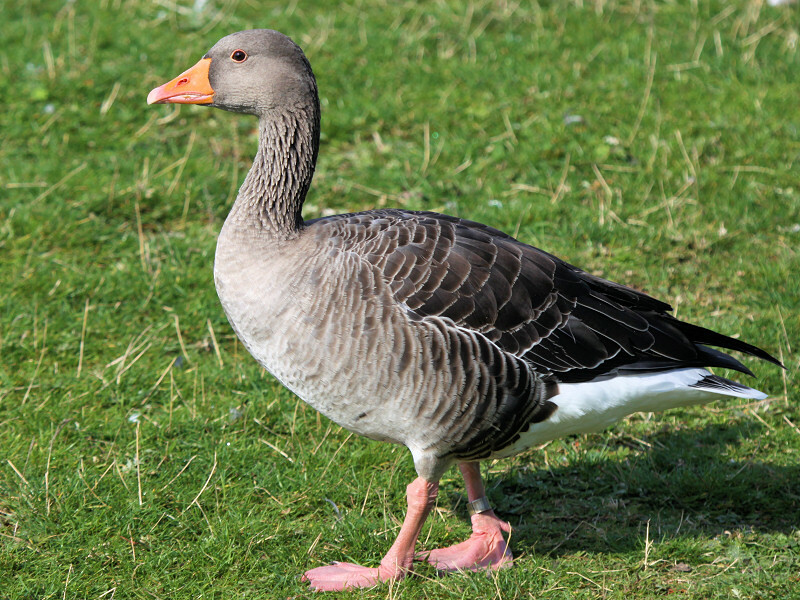 From Iceland, North Scotland, Scandinavia to Russia. 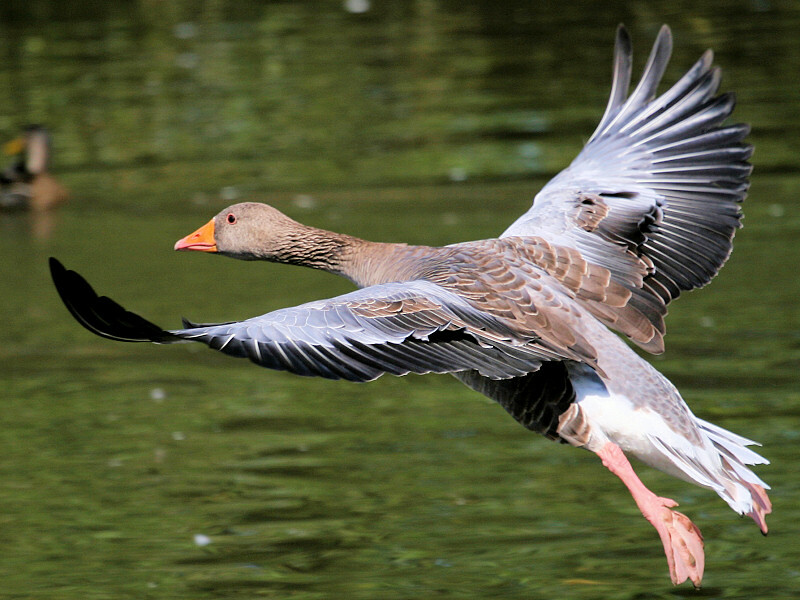 Also across the Ural Mountains to Manchuria. 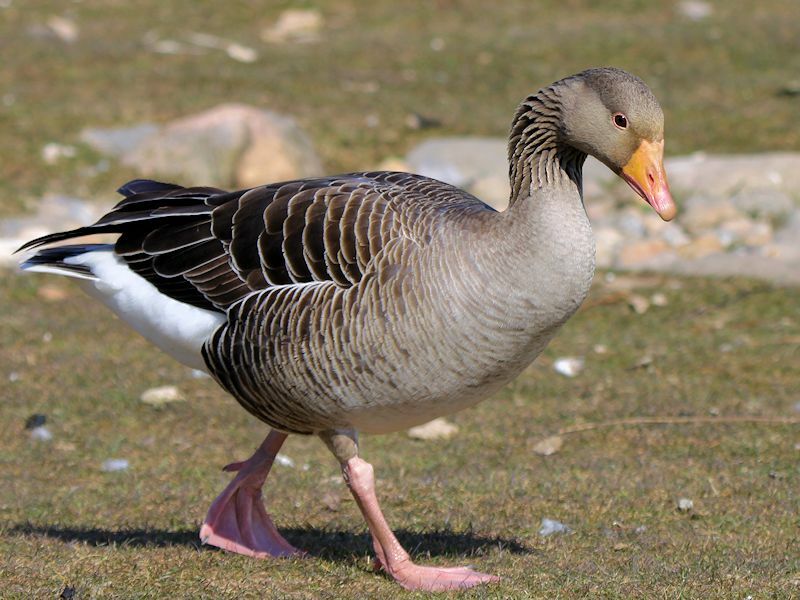 Icelandic birds Winter in the British Isles, Others winter in the Netherlands, France, Spain, North Africa, East Mediterranean, N.W. 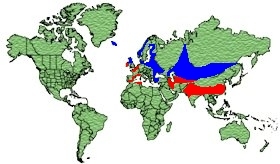 India, Burma and South China. 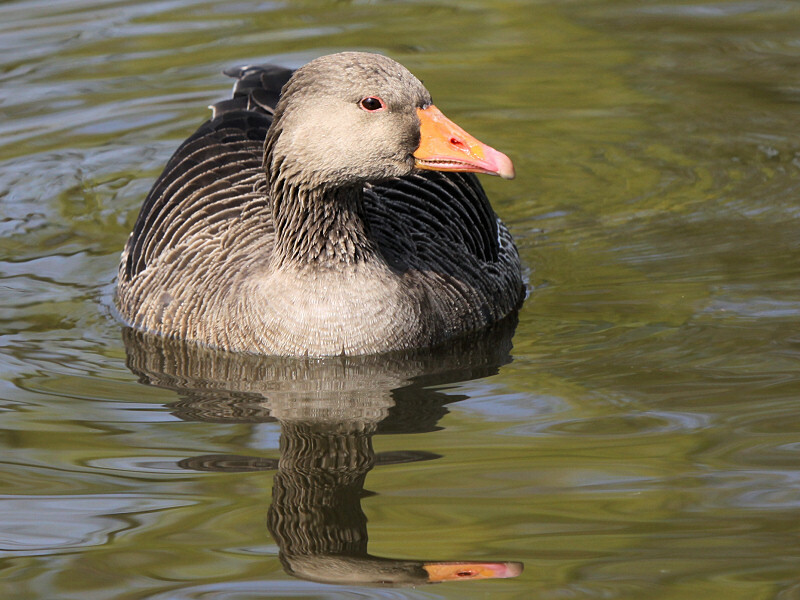 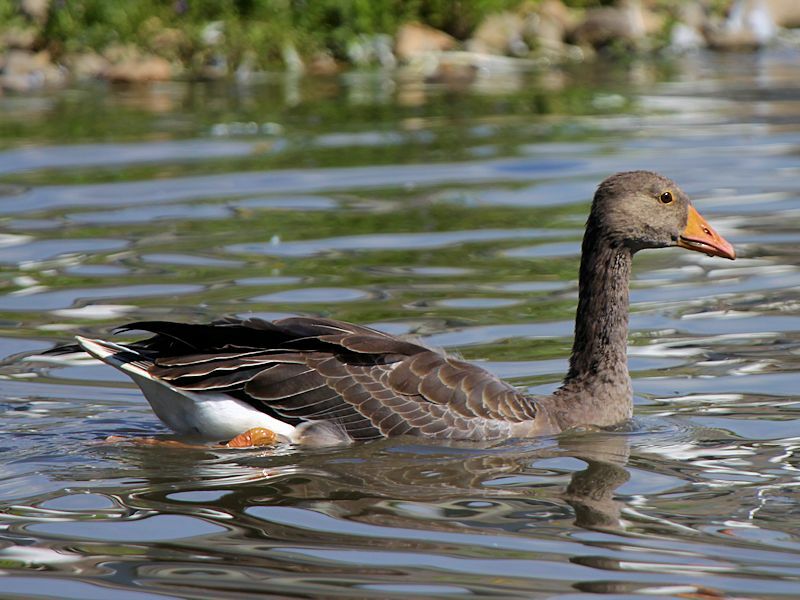 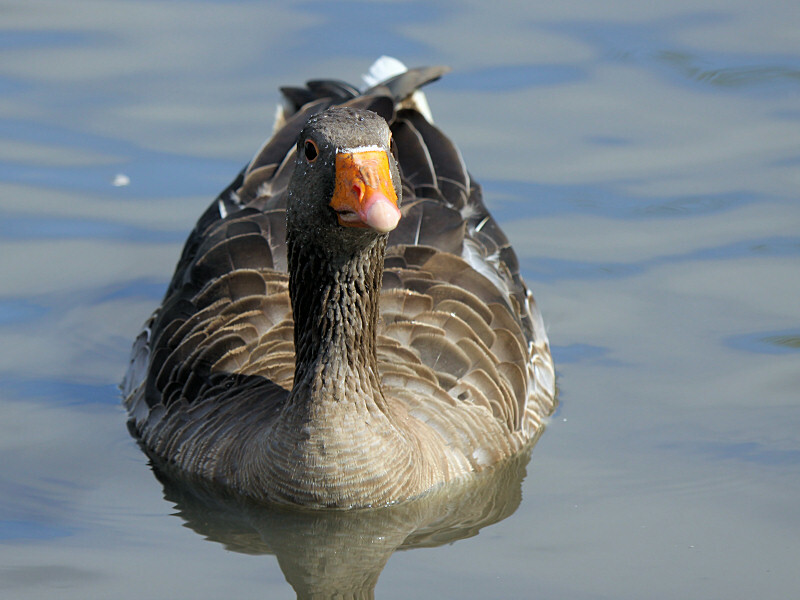 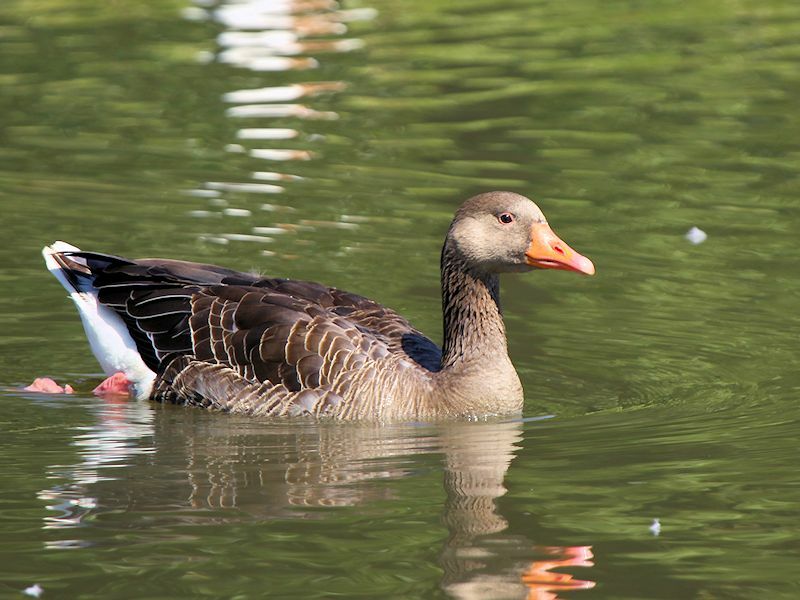 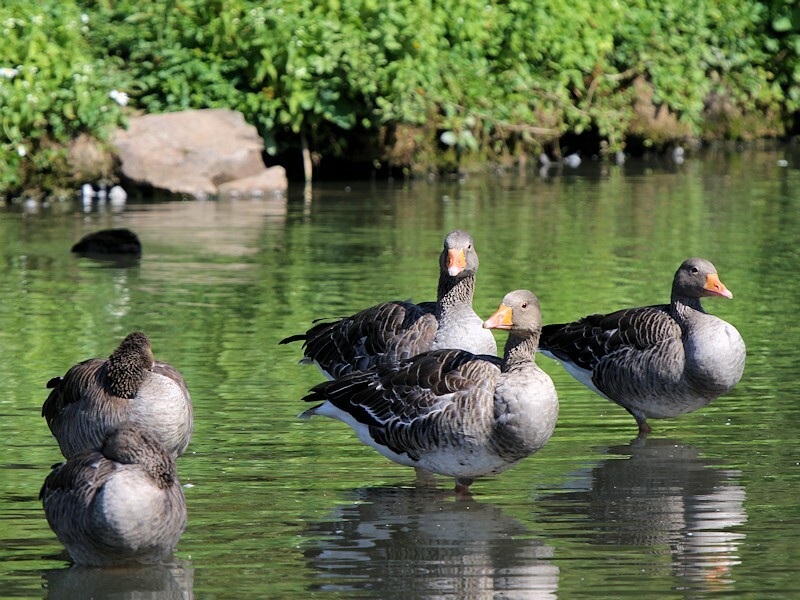 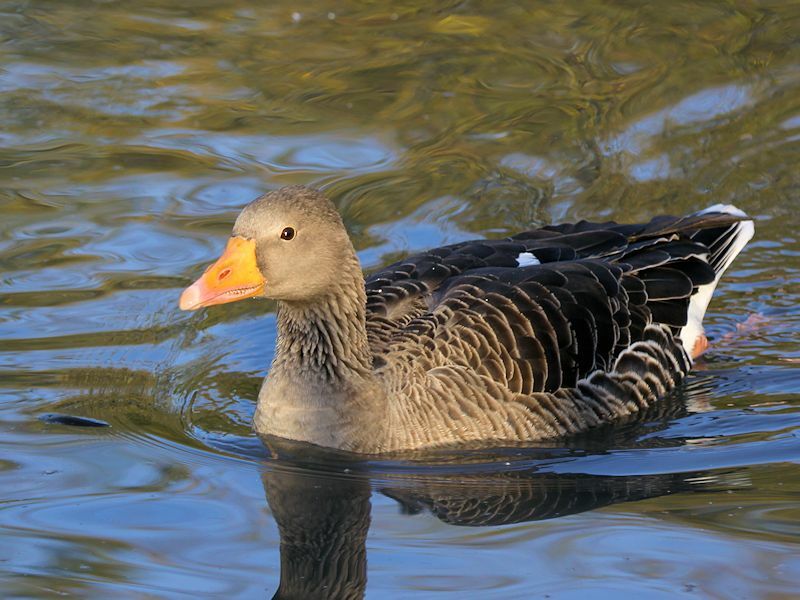 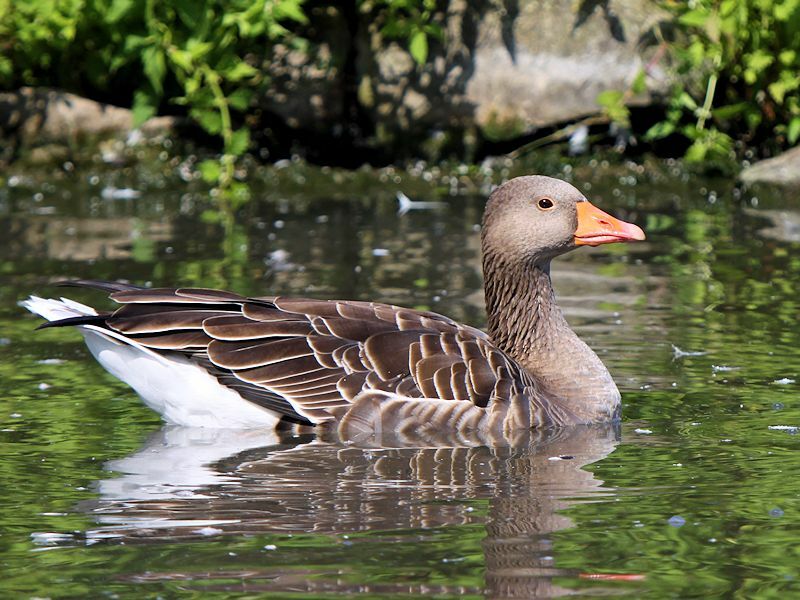 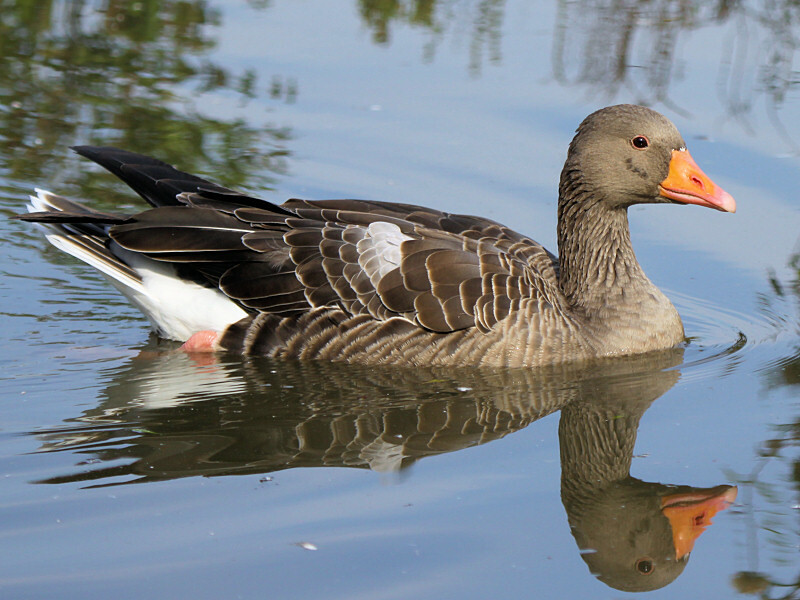 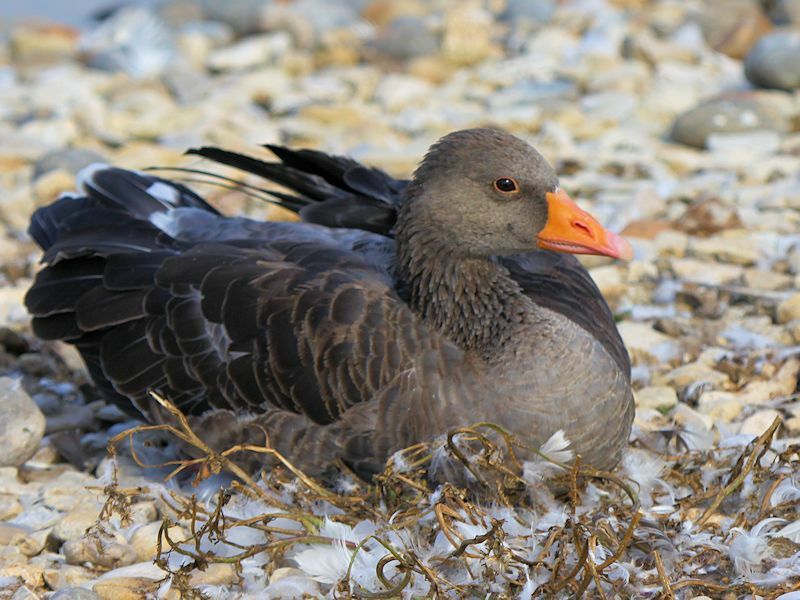 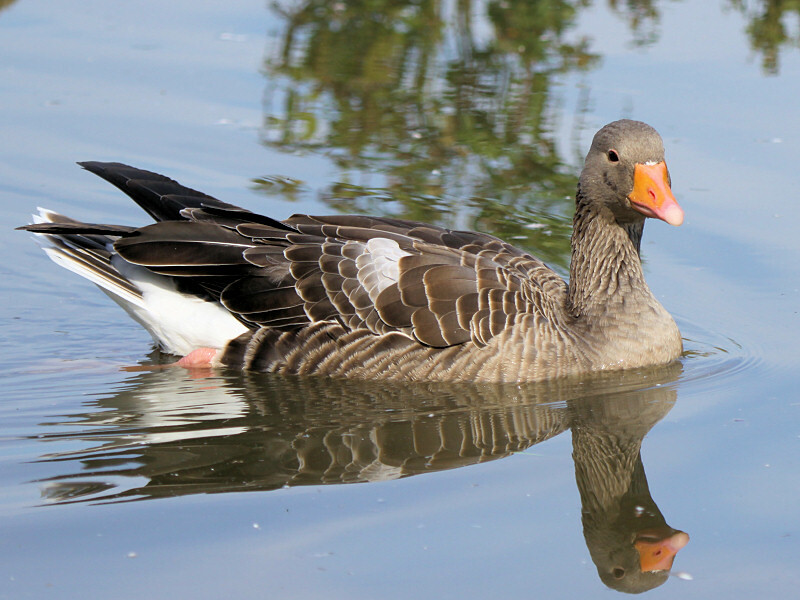 The Greylag Goose has a Grey/Brown head, neck and plumage with pale fringes on the feathers. 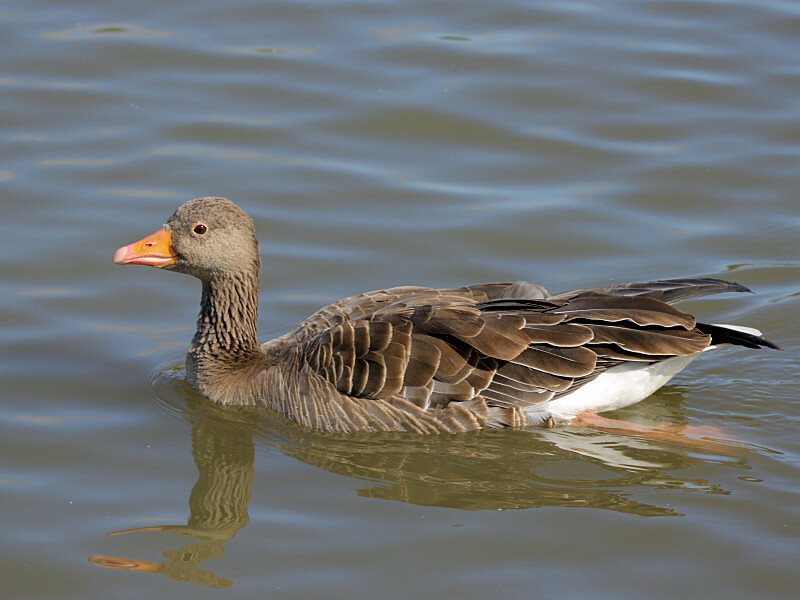 Underparts are Light/Grey with a White belly. 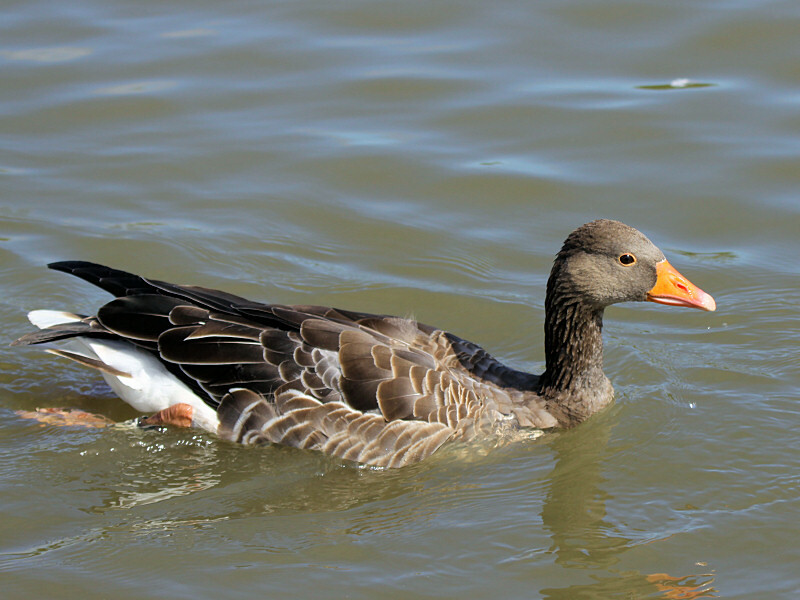 It has Pink legs and feet with an Orange or Pink bill. 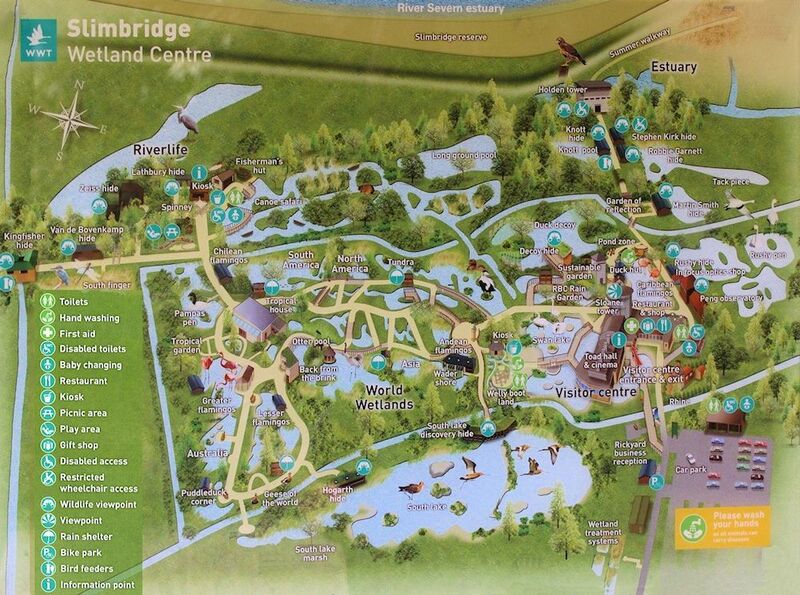 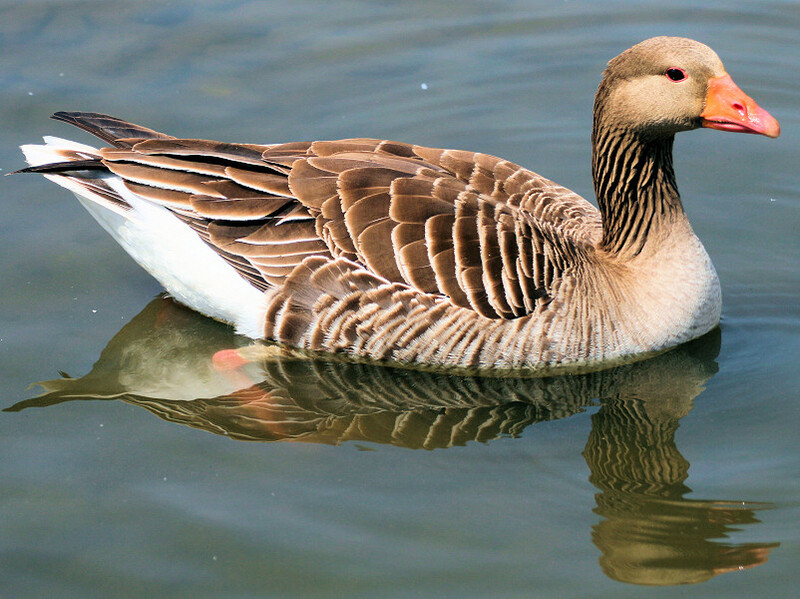 Wetlands, Marshes, and Lakes in Iceland, Scotland, Scandinavia, Eastern Europe, Russia, South China, and North India. 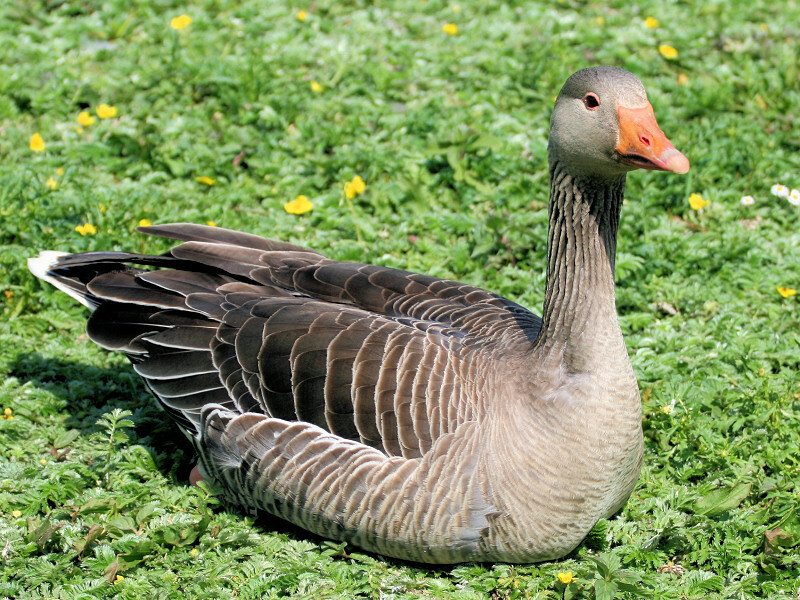 Grasses, Marsh Plant Roots and Rhizomes, Root Crops such as Turnips, Swedes, Potatoes and Carrots. 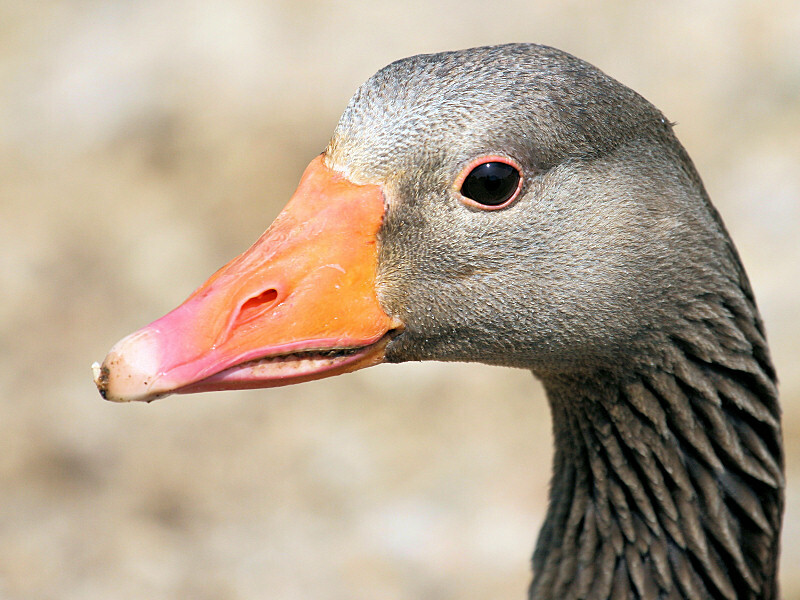 Also feed on Grain and small Aquatic Animals. 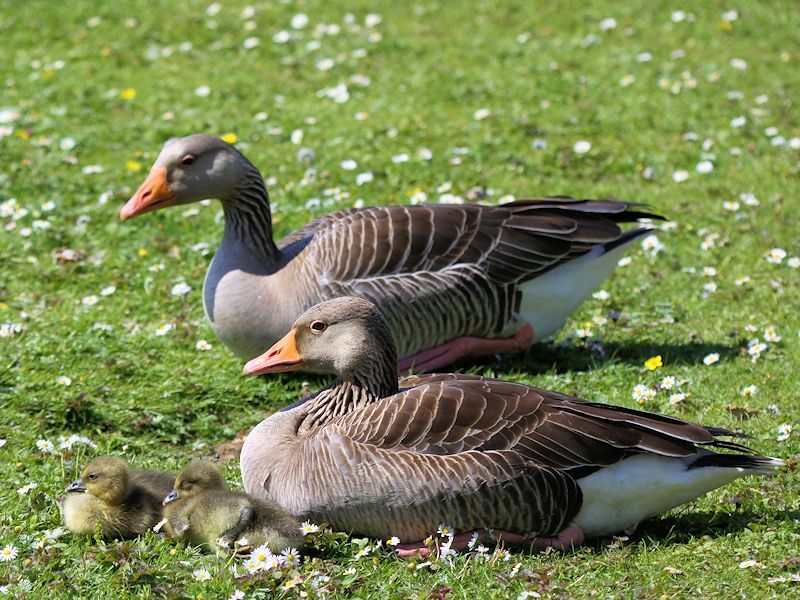 Early May in Iceland, Late April in Scotland and earlier in mid-Europe. 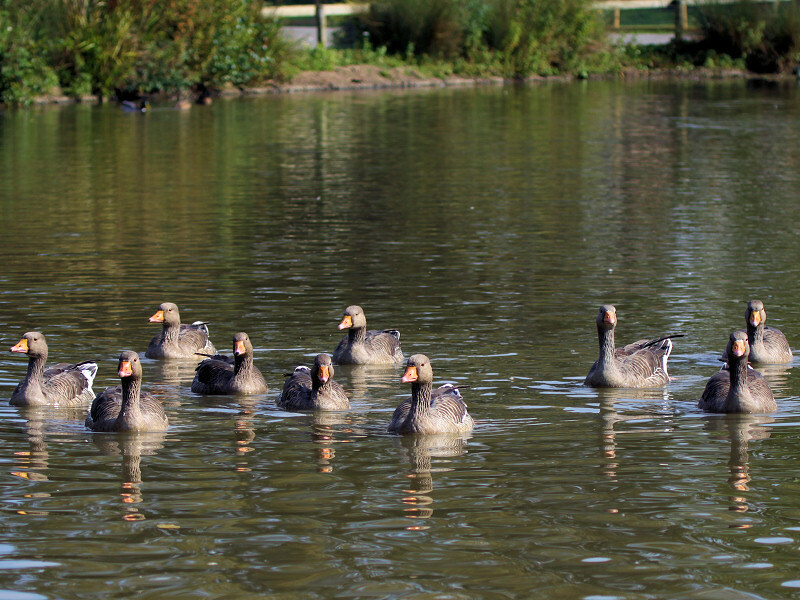 Average Size: 85mm x 58mm. 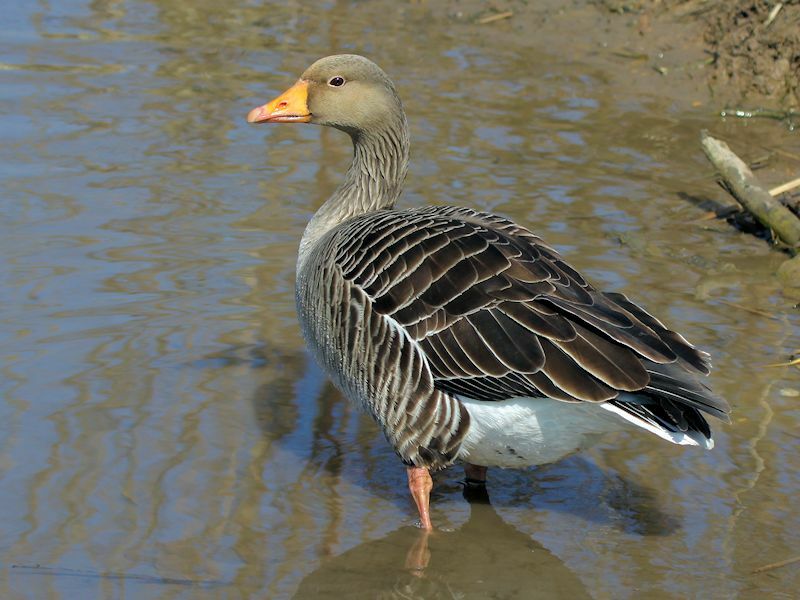 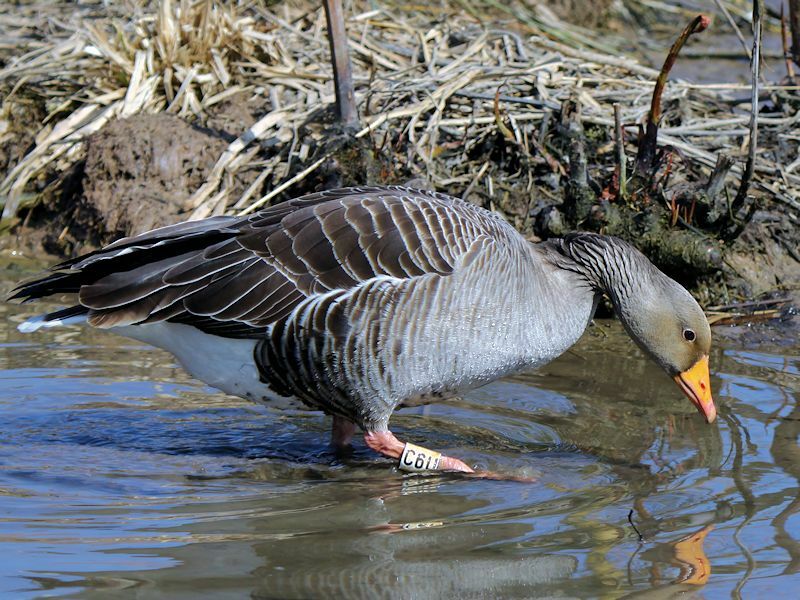 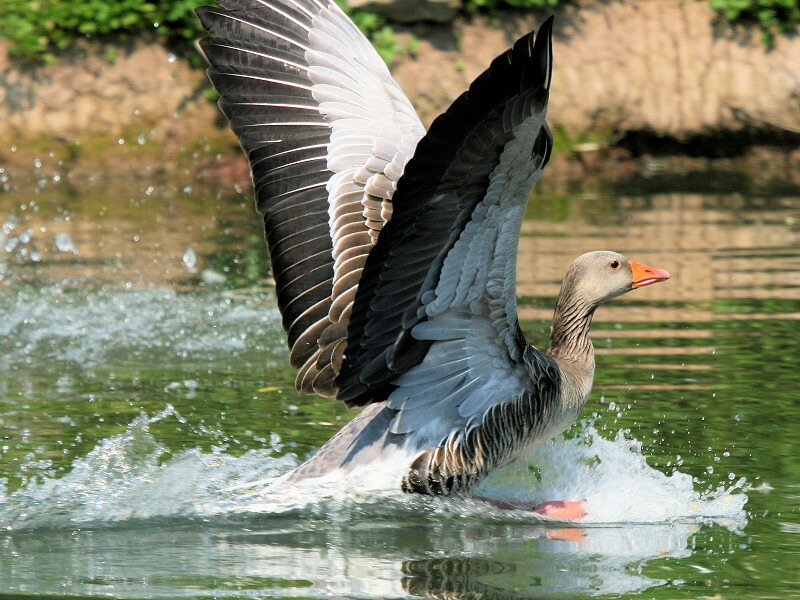 The Greylag goose is the largest of the 'grey' geese and is the last goose to migrate South, 'lagging' behind the others, which led to its name. 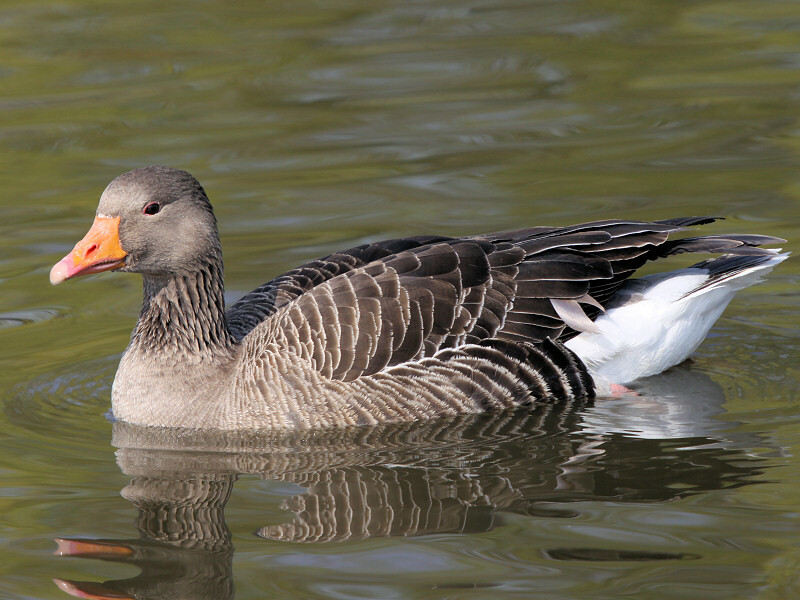 They achieve adulthood in the second winter and are the most southerly breeding of the 'grey' geese. 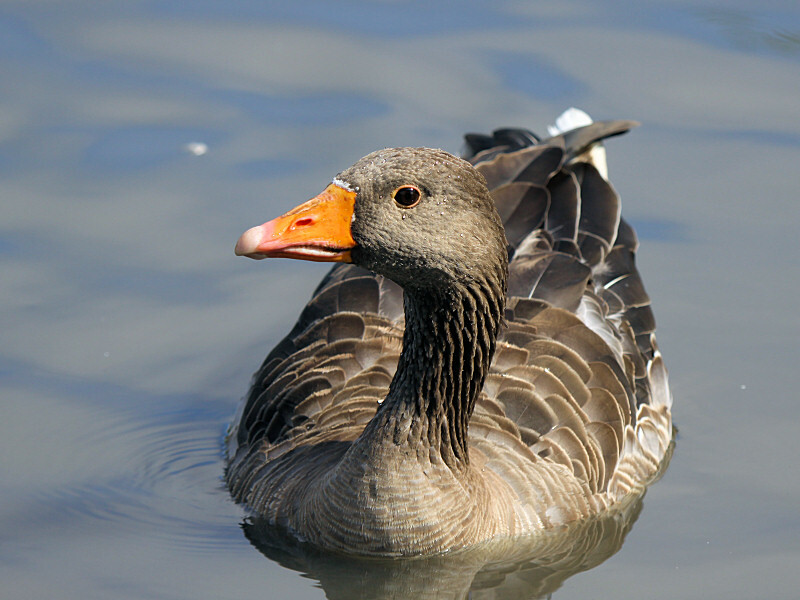 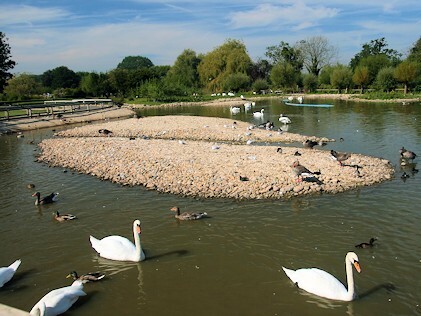 The Greylag goose is the only goose that is indigenous to the British Isles. 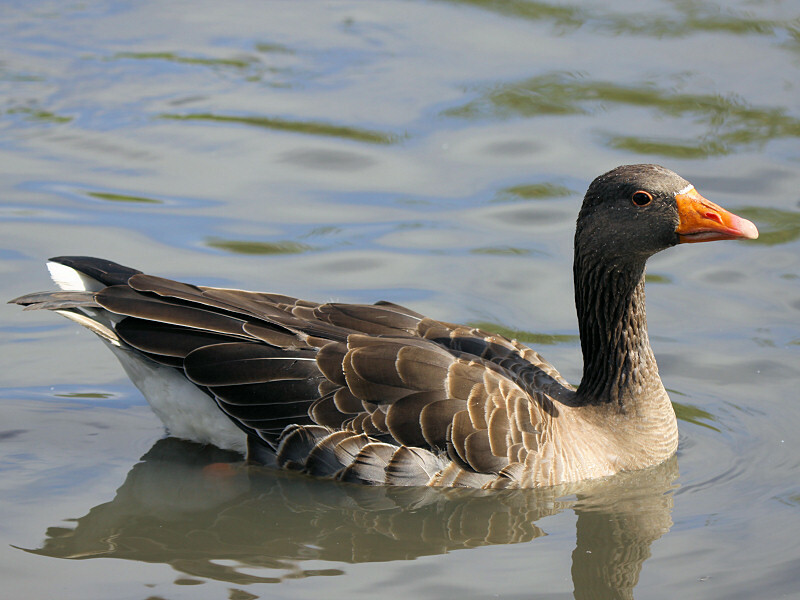 The Greylag goose is the ancestor of the domestic goose.